If you were looking for new playing options to enjoy during the weekend, apart from slots, BetKing and PokerStars have some novelties to share. 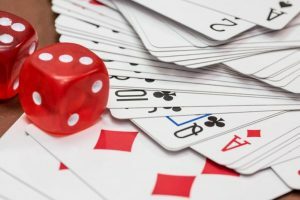 Depending on whether you want to have a classic game of Bitcoin Dice or are looking for “fresh” players to take on at the Poker table, each website can offer you a chance to try something different on your next days off. After its re-launch in September last year, BetKing introduced a new dice game on its website to entertain players until its Poker tournaments, sports betting, and other provably fair games are ready for launch. Several months later, the dice game was updated with a progressive jackpot pool. So far, the pool accumulated over 50 BTC from players’ bets which are just ready for the taking. To trigger the jackpot, all you have to do is roll the dice two times. If the results contain “five 5s”, you will get to claim the main jackpot. To win the full prize, you have to make a bet of at least 0.001 Bitcoin. Bets of 0.0001 Bitcoin or more are also eligible for a prize of 10% of the pool while bets of 0.00001 Bitcoin only get to win 1% of the jackpot money pot. The progressive jackpot is only available to those who use Bitcoin to make a bet and those who have deposited at least 0.0001 Bitcoin in their account. If you make a bet from funds you’ve claimed with BetKing’s “faucet” (a tool that gives you 100 free satoshis every hour), you will not be eligible for the prize. If you want to take your shot at the massive jackpot, just head down to BetKing Casino and register. With the help of a new landmark agreement between the gaming regulators in France, Portugal, Italy, and Spain, an online poker liquidity project between the countries was finally realized this January. One of the first to benefit from the agreement thanks to its licenses in the markets was PokerStars, which finally started pooling cross-border online poker liquidity between France and Spain last week. But what is interesting to note here is that the shared poker pool isn’t restricted to Spain and France only, but that it can likewise be enjoyed by other PokerStars users from eligible jurisdictions. Namely, as reported by CalvinAyre.com, PokerStars is now allowing other users to join the French-Spanish Poker pool by using the Spanish (.es) PokerStars website. But if you come from a country that is not accepted by PokerStars, you will not be able to do so. Apart from running a well-known Poker site, PokerStars also operates its own casino platform. During 2017 alone, the casino site had helped 9 different players become millionaires, most of whom were made by the aptly-named Millionaire Island slot which PokerStars introduced at the start of the year. The biggest win at the slot was $2.5 million while the “least lucky” player won a price of $1.34 million. If you like to try your hand at the French-Spanish tables or want to see whether you could become the next casino millionaire, give PokerStars a visit today.